Military officers were commisioned during summer commencement ceremony. FAMU President Elmira Mangum presented the posthumous master’s degree to the family of Aaron Goodwin. 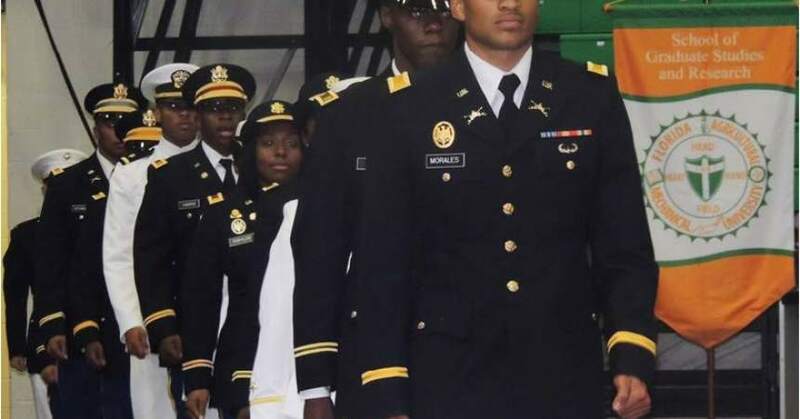 Graduates of Florida A&M University were encouraged to embrace their fears and push forward to achieve their goals after college on Friday afternoon during the summer commencement ceremony. “Fear of success or failure will cause you to play small and shrink into yourself if you’re not paying attention,” said FAMU commencement speaker Pam Oliver, renowned sports broadcaster, who shared with the graduates past experiences and memories of her time at FAMU. The summer graduates sat in the crowd attentively, listening to Oliver and others share stories that they can relate to. 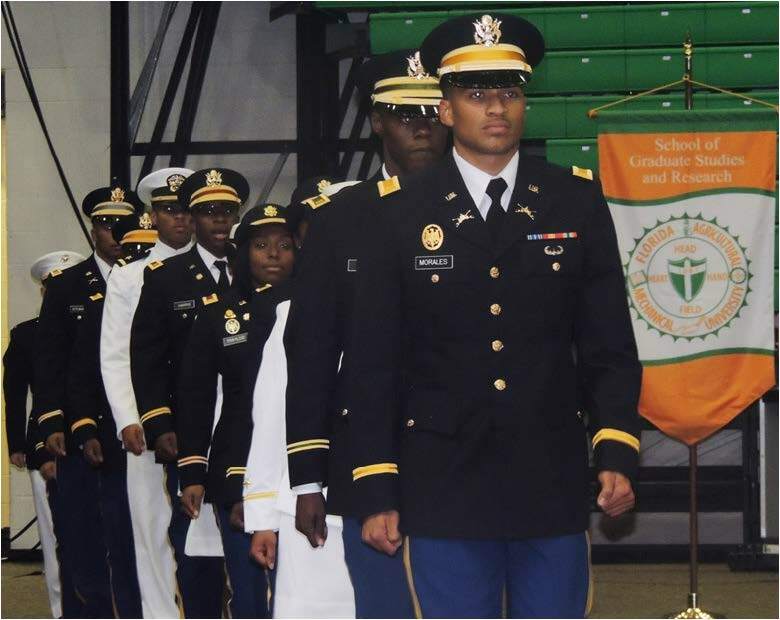 Large waves of applause filled the Alfred Lawson, Jr. Multipurpose Center as Oliver praised new graduates and reminded them of the caliber of an education that they’ve received over the past few years attending FAMU. “I hope you guys know this, when you leave here today, we will always have your back,” Oliver said referring to the care the institution has for its present and former students. 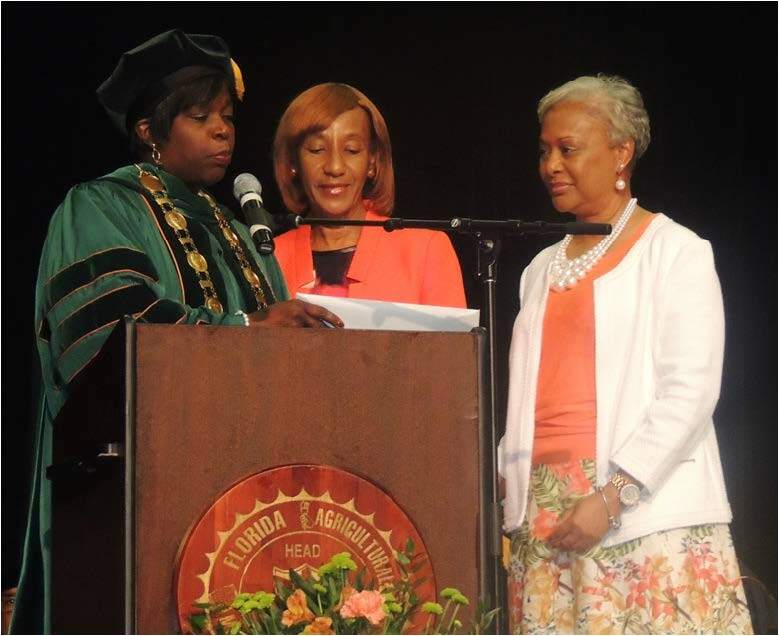 Following Oliver’s address, FAMU President Elmira Mangum, presented a President’s award to Oliver for serving as the speaker for the 2015 summer commencement. Mangum also took the time to show appreciation for the friends and family of the graduates in attendance and instructed the graduates to do the same. “Whether you are from a long line of Rattlers or the first in your family to earn a college degree, your family members and friends that fill this arena have been that special someone who played huge roles in your success. They are deserving of your gratitude,” said Mangum. A Master of Science in Architecture was awarded posthumously to Aaron D. Goodwin, the homicide victim of the recent fire at Exclusive Heat, the nearby shoe boutique on South Adams. “We thought this was the least we could do to indicate our appreciation of the time Aaron spent here at FAMU,” said Andrew Chin, assistant dean at the School of Architecture and Engineering Technology.